Dreamland has an action-packed line-up of indoor family festivities this season to keep visitors of all ages entertained, starting with their first book festival on Saturday 16th February – featuring a special appearance from The Gruffalo. 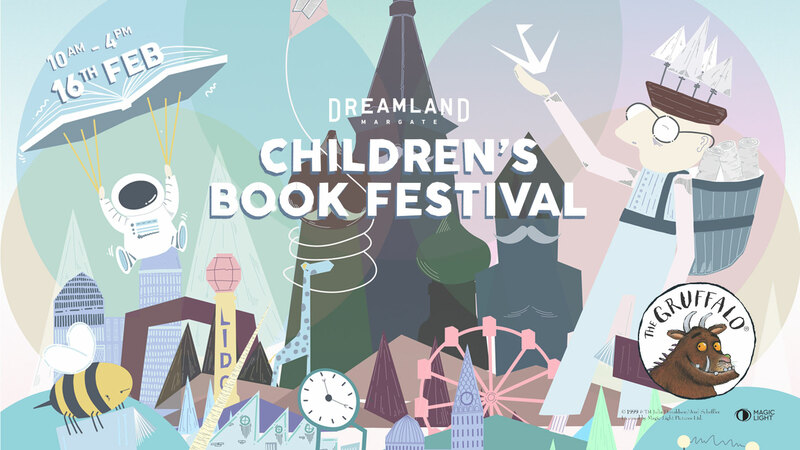 Julia Donaldson and Axel Scheffler’s beloved character will be making appearances at Dreamland throughout the day, and there will also be screenings of the numerous animated film adaptations by Magic Light Pictures, including Room On The Broom, Stick Man, The Highway Rat, The Gruffalo and their highly-anticipated latest release Zog. The festival is just one of several family focused events taking place at Dreamland in the coming weeks, including the two-day Minecraft festival Minevention on 9th and 10th March. More events will be announced in soon. The outdoor amusement park will reopen for the spring and summer season in April.